Tom and Mary Robertson have both enjoyed a lifelong love affair with horses. Unusually dedicated to the absolute perfection of all of their prospects in halter and other events, the Robertsons combine attention to detail, meticulous horse care and a sharp eye for a horse’s innate potential. 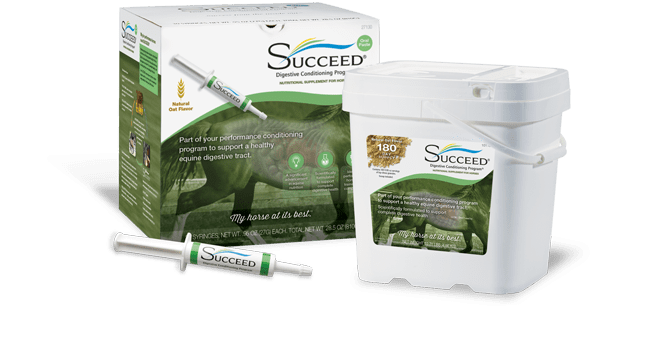 For the successful duo, preparing a horse to meet the demands of the show lifestyle, while still looking and feeling superior enough to win championships, is a true challenge. Horses must face regular training sessions, intense travel schedules, stalling and long trailer rides – all of which can negatively impact their mental and physical well-being. In 2005 Tom began working with a young filly, called Simply Send Roses, with tons of potential, but he found that she became anxious during shows. Tom believed that his future Champion was overcome by the challenges of training and travel. The Robertsons now consider SUCCEED an integral part of their careful, overall management program for all horses in training. 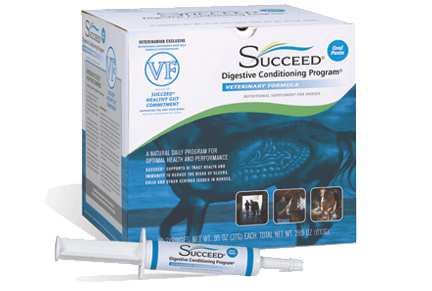 The primary benefit Tom has seen is in his horse’s ability to get the maximum benefit from the nutrients they receive. For the Robertsons, managing champion halter horses is all about attention to every detail and the results they’ve seen since beginning use of SUCCEED have convinced them of the product’s absolute value for all of their horses. Simply Send Roses has gone on to begin fulfilling the potential Tom saw in her from her earliest days. The 2005 filly won more than $10,000 as a weanling and has topped her classes at the All American Quarter Horse Congress as well as garnering numerous grand champion titles.